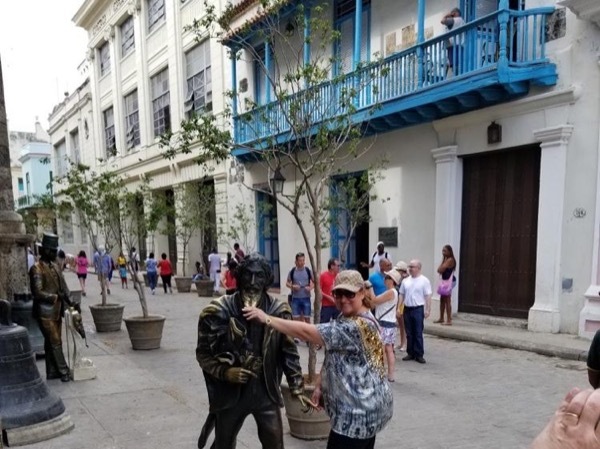 Traveler Review for Private Tour in Havana, Cuba by Tour Guide Ela V.
About Ela V. Message Ela V.
Ela is the cutest, most passionete, most knowledgeable, and fun to be with during our stay in Cuba. We were able to get personal insights into daily life in Havana, eat local food, learn about the culture, see the sights with a fun loving person that made our tour such a wonderful experience. Ela is the best. Her English is perfect and a delight to be with...We have used Tours by Local all over the world and she is TOPS!!!! TOUR GUIDE RESPONSE: Steve thank you thank you thank you!! I'm actually quite emotional right now and so deeply touched by your words. I loved every minute of it! I adore you guys, you are so funny and insightful and easygoing that I couldn't have wished for a better experience or better clients (now friends). Forever find a loving friend in me. Big smashing kisses! !